Offering you a complete choice of products which include loud speakers for pa 12 " ,15" , 18" and loud speakers 12" , 15" , 18". 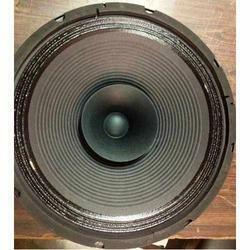 We are a reckoned name engaged in offering a quality grade Loud Speakers. Our offered product is manufactured using highly advanced technology, and is recognized for its powerful and highly efficient operations. Thereby, this offered product is widely used in sound and audio applications. Looking for Loud Speakers ? Loud Speakers for PA 12 " ,15" , 18"
Loud Speakers 12" , 15" , 18"